A new study led by Vida Maralani, a professor of sociology at Cornell University in Ithaca, New York, has found that women who breastfeed their first child for longer durations than other women were likely to meet or exceed the number of children they expected to have before they started their families. Additionally, women who breastfeed for shorter durations are more likely to have fewer children than they expected to have. The researchers examined data from 3,700 mothers from 1979 to 2012. They measured women’s expected fertility at least one year before women conceived their first children to examine the link between their expectations of future fertility and their actual behavior. They also accounted for differences in breastfeeding and fertility by education, age, marital status, family income, and work histories. The researchers stated that their results do not necessarily mean that breastfeeding duration causes women to have larger families. They write, “Indeed, our study reveals the opposite: the interconnectedness of family preferences and child investment across the life course.” They found that demographic factors like the ones they accounted for do not explain these patterns. They suggest future research is needed to study other potential explanations such as spousal support, preferences for time spent with children, or work flexibility. 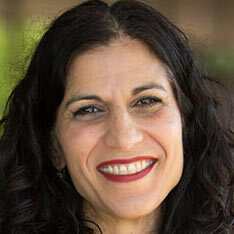 Dr. Maralani holds a bachelor’s degree from the University of California, Berkeley, a master’s degree in history from San Francisco State University, and a Ph.D. in sociology from the University of California, Los Angeles. The full study, “Intensive Parenting: Fertility and Breastfeeding Duration in the United States,” was published in the October issue of Demography. It may be accessed here.